* Golden Valley Commons is a 40,000 sq ft is an upscale retail center positioned along Hwy 55, with excellent visibility to the highway. * Golden Valley commons have been servicing the community for over 15 years. 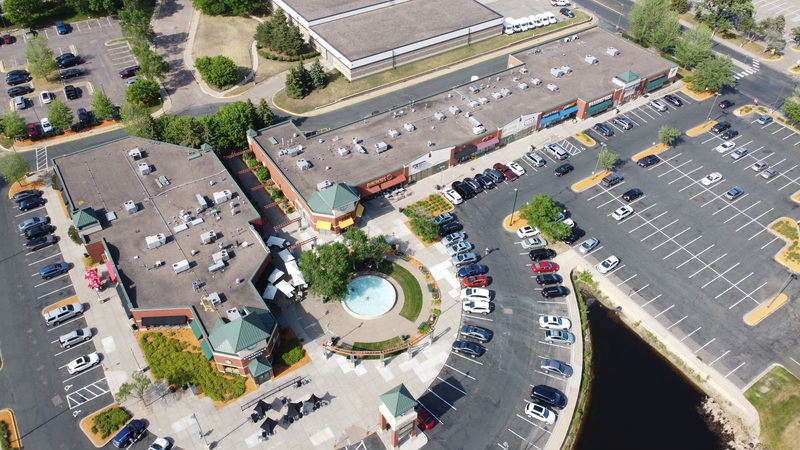 * The center has attracted strong regional retailers including: D’Amico & Sons, Noodles & Co., Starbuck’s, Panchero’s Patina and others. * Traffic counts along Highway 55 exceed 33,500 VPD, with more than 11,500 VPD along Winnetka as well. * The outdoor fountain provides a comfortable and peaceful environment for social or professional gatherings.